An update to Vol. 2, pp. 389–393. 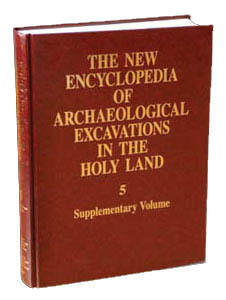 Excavations were renewed at ‘Enan in 1996 by F. R. Valla on behalf of the Centre National Français de la Recherche Scientifique and H. Khalaily on behalf of the Israel Antiquities Authority. The main aims of the research were to refine the stratigraphy of the Natufian layers and excavate more houses and living floors so as to obtain a better definition of the meaning of “sedentism” in the Natufian culture. Of major interest was the Natufian economy, since the concept of sedentary hunters-gatherers at this stage remains open to debate. This research included technological aspects, such as studies of tool manufacture (flint, bone, basalt, etc.) and studies of ideology and belief, insofar as these latter two are reflected in burial practices, decorative items, and other data accessible to archaeologists. To achieve these goals it was decided to avoid, as much as possible, working in areas formerly studied and to open a new area of 130 sq m to the east of the old excavation area. Only at the extreme western part of the former excavation, where difficulties arose in assigning house 26 an accurate stratigraphic position in the Early–Late Natufian sequence, was a small probe conducted.